Actually I have been looking forward to bake a cake for him. I ordered an edible image from KL a week ago just to make sure it can be delivered to me on time. The parcel was delivered a day later than the actual delivery date. I called up Poslaju and got them to sent to my office on Thursday. 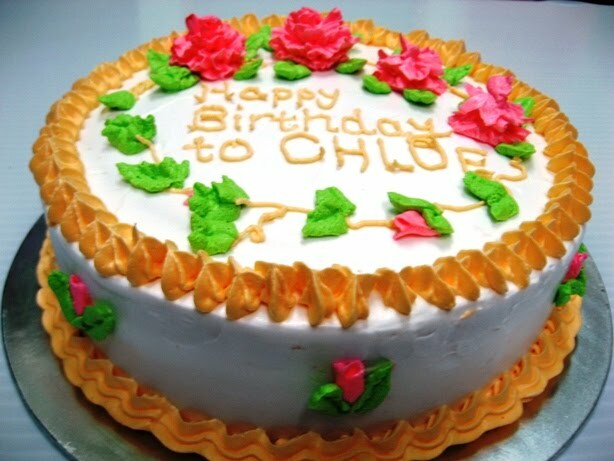 Tonite, after coming back from Crystal's choir practice in the church at around 10pm, I started to bake a cake ready for decoration tomorrow morning, so that I can deliver the belated birthday cake to him as promised. These are the Swiss rolls that I made a couple of weeks ago. I used 2 types of fillings, strawberry jam and cheese spread with mango. The recipe can be found here. It is very easy to make.